Nokia 9 2017 Flagship Android Smartphone, To Have Dual Carl Zeiss Camera? Rumors about the first flagship smartphone of HMD Global - which calls itself 'The New Home of Nokia Phones' - are starting to surface online. So far, Nokia's licensing partner had only released the midrange powerhouse Nokia 6 in China, which is now enjoying some level of market success in the said territory. Following that model, HMD Global is set to release the budget-friendly Nokia 5 and Nokia 3 in even more territories - including the Philippines - within Q3 2016. While Nokia 6, 5, and 3 are all interesting and note-worthy smartphones in their own right, I'm sure big fans of the Finnish brand are waiting for HMD Global to unveil the top-of-the-line model this year, which will have the best design, build, imaging prowess, and set of technical specifications. If you're a fellow Nokianatic, you'd be glad to know that information about the upcoming Nokia 9 high-end Android phone are now being shared by tech bloggers and various news agencies covering technology. 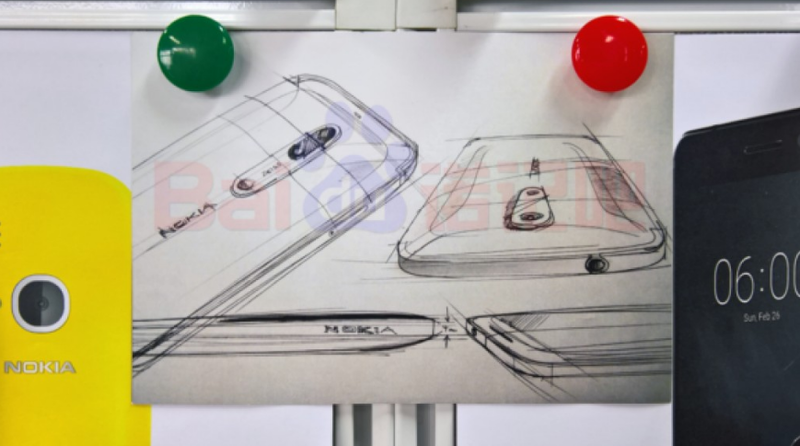 It all started when reliable Nokia device 'leaker' Nokibar shared his sketch - shown in the photo above - of the purported flagship handset earlier this week. Looking at the image, it appears that Nokia 9 will have a design language that's largely similar to that of Nokia 6 -- albeit rounder and with more tapered sides. There are two elements in the sketch, however, that got me totally excited. First, the Dual Camera module at the back of the device. And second, the word 'Zeiss' beside the optics, which indicate that they will be made by Nokia's long time imaging partner, Carl Zeiss! If these details are accurate and if HMD Global as well as its OEM partner in China are keen on making sure that this model would live up to Nokia's lofty standards in crafting a cameraphone, then Nokia 9 could very well be the imaging powerhouse to watch out for this year! I own a Nokia 808 PureView and Nokia Lumia 1020 (both are still working) and if there's anything I can tell you, it's that the Finnish Giant sure knows how to make incredible cameraphones. That said, I can only hope that the upcoming Nokia 9 would - in more ways than one - be a solid follow-up to these amazing handsets. After all, Nokia did say back in May 2016 that they'll be guiding HMD to make sure that new devices bearing their legendary name would exemplify what consumers have come to expect from the brand. Apart from the sketch, Nokibar had not disclosed any other information about Nokia 9. Nonetheless, various sources are now claiming that the 2017 flagship would come with a 5.5-inch QHD AMOLED display, Qualcomm Snapdragon 835 processor, and a price tag of $700 or around Php 35,000 when it hits store shelves in key markets come Q3 2017. These are surely exciting times for big Nokia fans. I personally can't wait to learn more about this particular model. Intriguing, definitely.